Take the plunge; follow your heart; never give up." Inspired by everything, but mostly her children, the driven, funny, insatiable Mai-Belles owner has a thirst for all things new. To paraphrase the bubbly baker, "Try every avenue, because you'll always be curious." After tapping into what comes naturally, Emma converted her garage into her work kitchen and after only eighteenth months Mai-Belles Cupcakes is quietly, and comfortably, taking the baking world by storm. Now you may wonder 'why?' Because the whole cupcake scene is kind of 'done'. Britain had an affair with it for a few years, but it's been and gone right? Wrong! 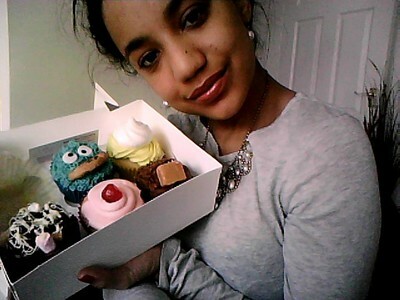 Mai-Belles Cupcakes are better than the average, not merely because of the delicious toppings. They are constantly improving, experimenting, and creating cakes for the customer. Vegan, kosher, lactose free - Emma happily bakes for dietary requirements. Lemon: The lemon was incredibly fresh, with a jam-like lemon curd in the middle, topped with a crunchy, perfectly chewy meringue. The bright yellow frosting doesn't disappoint either – a smooth lemony flavoured buttercream was the icing on the cake (pun intended). Cherry: With a distinct cherry flavour this cherry cupcake, filled with a light cherry jam and topped with a cherry a top and pink cherry frosting, was a cherry lover's dream. Perfect sponge with a cherry after taste. Chocolate fudge: Chocolate fudge, nothing tempts me more – and to have this in a dinky cupcake, ooh I was on cloud nine. Not only does this cupcake have a big chunk of fudge sitting on top of the frosting, but inside you'll find caramel in the middle of the sponge. Rocky road: Mini pink and white marshmallows, chocolate crunchy balls drizzled with milk chocolate atop a chocolate frosting rocky rocket was an amalgam of different chocolate textures mixed with honeycomb, and of course the lovely sponge. Yum. Classic Vanilla Sprinkle: The simplicity of sponge topped with a creamy vanilla frosting is just what you need for an afternoon with a cuppa. Mai-Belles make 'plain' vanilla into something more special. Classic Vanilla Sprinkle has cream rose-shaped frosting, pink, lilac and cream sprinkles, and an edible pink butterfly made out of icing. Cookie monster: Arguably my favourite, not least because of the comedy value. Cookie Monster with a fresh chocolate chip cookie stuffed in its 'mouth' is scrum-diddly. The blue frosting is as moreish as the others, but it is pricked slightly to resemble Sesame Street's cookie monster character, and has edible eyes made out of icing. Mai-Belles are relatively cheap. In Birmingham city centre, single cupcakes start from £3.00, Mai-Belles start from £1.50, so you've already made a saving. These purse friendly treats are ideal for celebrations – they frequently produce giant cupcakes for weddings, children's and adult parties and companies that want to treat their work colleagues. Even if you're not celebrating, if you just want a little cupcake for yourself, Mai-Belles is the place to go. 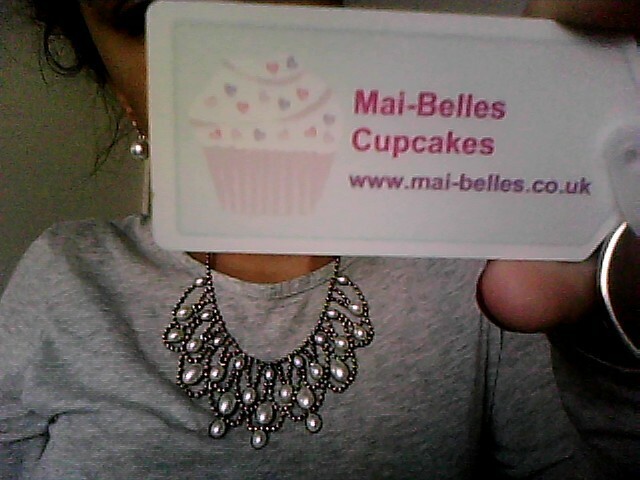 With Valentine's Day and Easter fast approaching why not give Mai-Belle's a call, and see if you can return home with a frosting-free face and the cupcake(s) still in the box?